The common refrain in both the Old Testament and New Testament is that parents have the primary calling and responsibility to disciple their children (descendants!) in the things of God (Deut. 6:4-7; Eph. 6:4). And yet it takes a church to raise a Christian—which means that we, as a church family, must do all that we can to support and encourage our parents and come alongside them as they disciple their children. 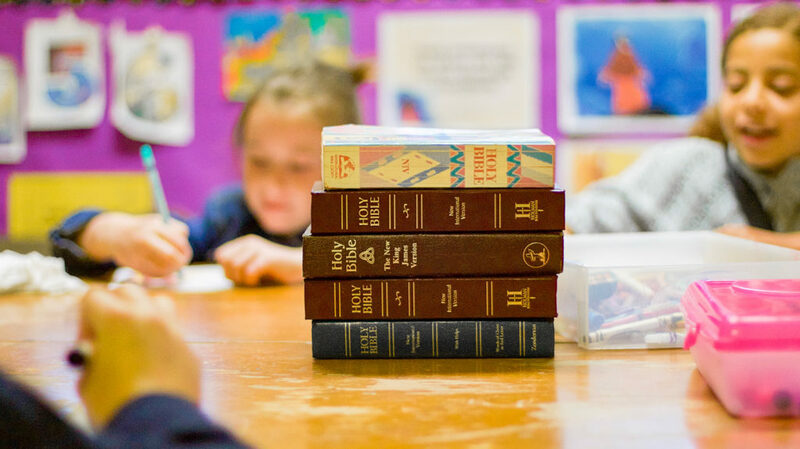 And so we have Worship Training at 9:00 a.m. on Sundays for our children (Kindergarten to 6th Grade) where they sing, learn a catechism and study the Scriptures using age-appropriate Christ-centered lessons.